With so few hunters pursuing big bucks during the beginning of bow season, the deer have yet to be jumped, bumped or spooked into a nocturnal feeding mode. They’re still the wary animal that will challenge all aspects of your hunting ability, but they’re simply not as suspicious as they’re guaranteed to become once the first gunshots ring out. To make the deer feel even less pressured and to boost your chances of going unnoticed longer, rotate your hunts among at least four different ambush locations. That will also improve the odds of seeing the local boss buck. Remember that a buck’s home range is still relatively small—typically a few hundred acres—during the pre-rut. 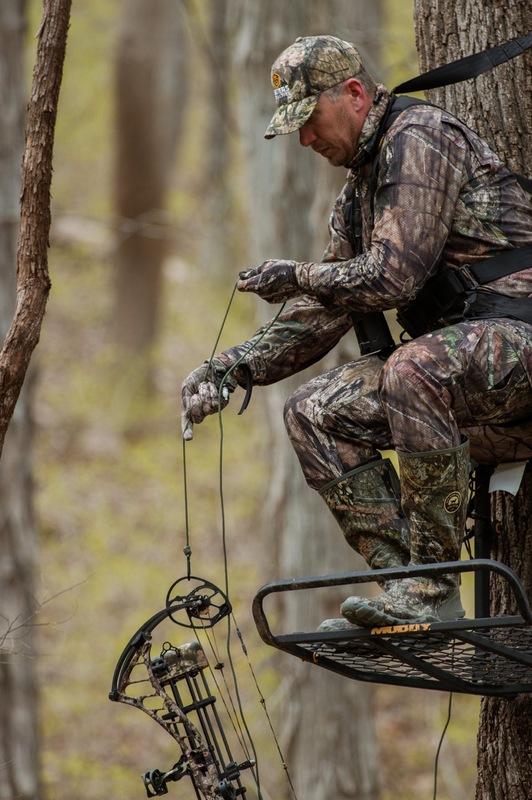 Through October, opt for treestands instead of ground blinds to leave less scent behind.